We help you accomplish your goals. We look for the solutions! Service to you, our clients, is the foundation of our company. We are a full service MWBE certified architectural firm located in the West Chelsea area of New York City near the High Line. 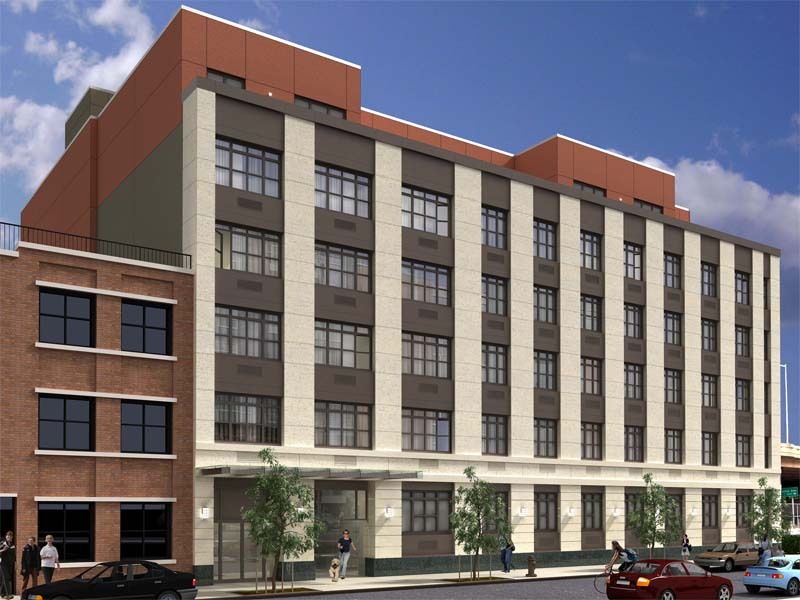 We specialize in new construction and rehabilitation of affordable housing, adaptive re-use, conversions, sustainable housing and mixed-use projects throughout New York. Our company was founded in 2007 under the name of Design AIDD Architects, PLLC and since then we have restructured our organization and still hold on to the belief that the building process requires close collaboration between architects, engineers, property owners and developers and on the principle that successful projects are built through high quality design integration. Over the years, we have maintained strong relationships with engineers, consulting firms and numerous colleagues that we continue to work with closely as a team of reliable professionals. Design AIDD prides itself on client satisfaction leading to repeat work and recommendations for new work. Our experience includes the design and construction of more than 3,600 units of affordable, market-rate and high-end multi-family housing, as well as being shortlisted on international projects. Our commercial portfolio includes over three-quarters of a million square feet of office space, galleries, art studios, educational and healthcare facilities throughout the metropolitan area. The following provides an overview of the diversity of Design AIDD Architecture's current projects. Our work includes new construction and rehabilitation of affordable and market rate housing. We can assist you with residential, commercial or mixed-use design projects. The space was a gut rehabilitation of an underutilized storage space transformed into a large open duplex art gallery with high end marble restroom and pantry area. 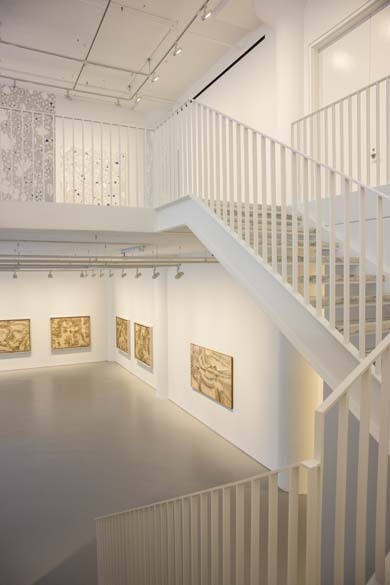 A new steel and marble stair case was designed connecting the two floors that incorporates a section of removable railing to accommodate receiving large paintings to the 2 nd floor. The stair case allowed for greater light to flood the lower floor. 3-story addition above an existing townhouse for conversion to a mixed-use commercial, community facility and residential building. 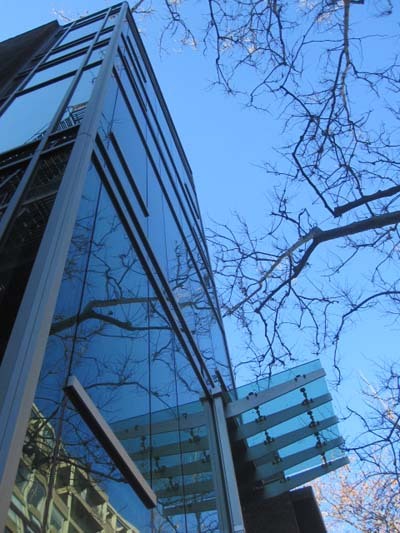 A new 6-story curtain wall façade will allow the restored existing façade to remain visible, while rooftop thermal and photovoltaic panels improve the efficiency of the new building. 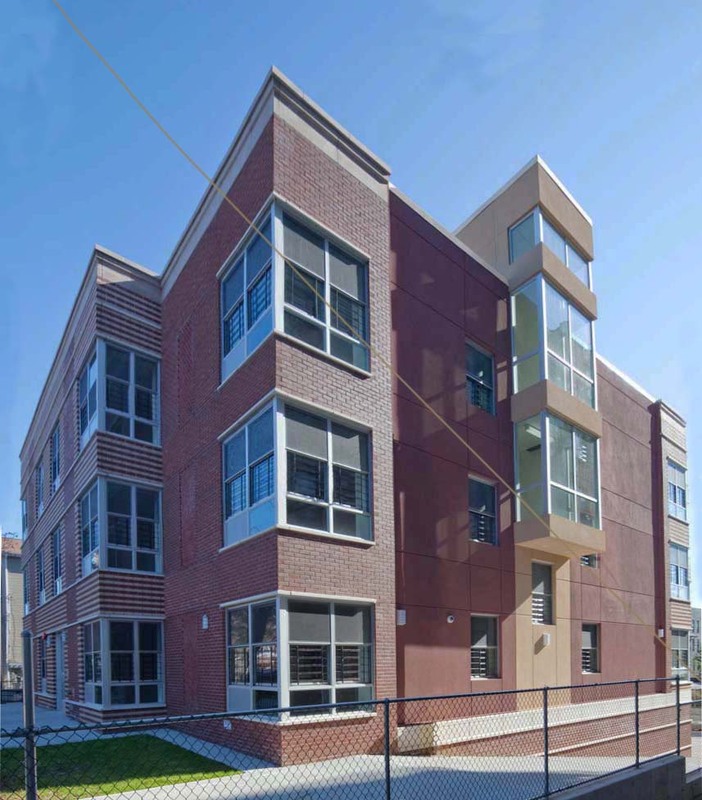 Completed 3-story building with (15) 1- & 2-bedroom affordable rental units. The units are laid out to provide cross-ventilation and maximize the number of kitchens with windows. Participation in the NYSERDA low-rise multi-family performance program. Design AIDD is the Building Architect and is responsible for the conversion and merging of this 10 and 12-story Landmarked factory building located in the West Chelsea Highline District into Galleries, Offices and Artist Studios. 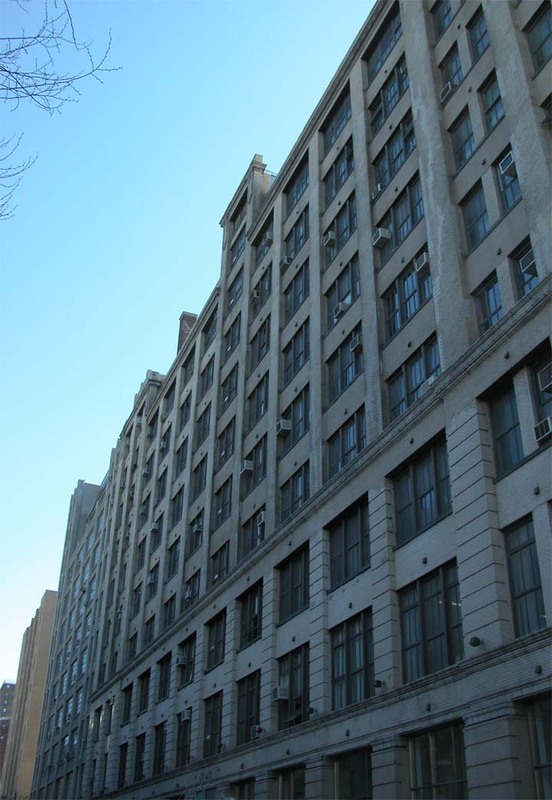 Design AIDD coordinates all tenant spaces, and verifies NYC code compliance. A new luxury Caretaker’s apartment with panoramic Hudson River views was also created. 487 Keap Street in Williamsburg, Brooklyn off the BQE was originally a factory building on the verge of being demolished. Design AIDD in collaboration with the structural engineering firm Severud Associates was able to rehabilitate the existing brick exterior wall and the interior floors. The 5-story manufacturing building is being converted into a 6-story, 51 unit high-end apartment rental building with the addition of a sixth floor and will be completed in 2013. Andrea has over 29 years of experience at various prominent New York firms in computer aided design, construction documents and quality control for various residential, commercial, justice facilities, industrial and institutional buildings, both in new construction and renovation; from design to completion. Andrea is responsible for construction document quality control, detailing and specifications as well as all aspects of the electronic infrastructure of the office. Andrea graduated from Pratt Institute with a Bachelor of Architecture and a minor in computer science. Ian has over 20 years of experience both in New York and in India. He has extensive knowledge of every stage of design and construction of both luxury and affordable mixed-used and multi-family housing projects in New York City. His expertise extends from conceptual design through construction administration. Ian received his Bachelor of Architecture degree from The Academy of Architecture in Bombay, India and a Master of Architecture degree from the University of New Mexico, where he was a teaching assistant in structural design. David has over 25 years of experience in all aspects of housing and mixed-use construction in New York City. He has completed the preliminary & final zoning analyses on countless projects, also ensuring that designs comply with building codes, and executing the final review of projects prior to Department of Buildings submission. David has managed the rehabilitation and conversion of numerous arts-oriented and education facilities. He has also converted numerous industrial buildings to residential, commercial and institutional uses throughout the City. David graduated from Pratt Institute with a Bachelor of Architecture.